Taking to Twitter, the 34-year-old star wrote to Shah Rukh assuring the superstar that he will inspire him with his act in "Raees" as he has done with his past films. 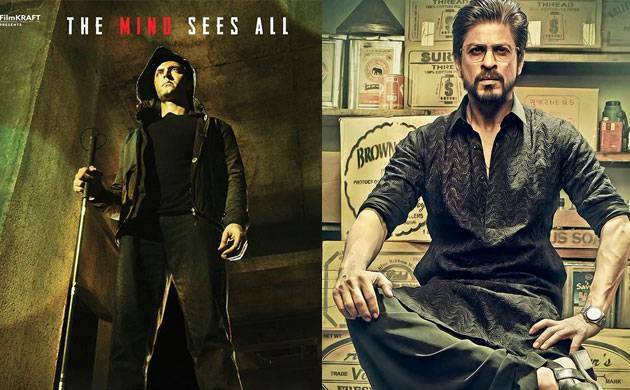 Sending his best wishes to actor Hrithik Roshan for the release of "Kaabil", Shah Rukh Khan said he wish they could have avoided the clash of their films at the box office as the superstar's own movie "Raees" is also hitting the theatres on Wednesday. Hrithik Roshan reached out to Shah Rukh Khan on Tuesday, saying he hopes that the superstar "mentor" will be proud of his work in "Kaabil". "Dear @iamsrk today as a mentor I'm sure you will inspire me yet again with #Raaes and as a student, I hope you are proud of me with #Kaabil," Hrithik wrote. In response to Hrithik Roshan's message superstar, Shahrukh Khan took to Twitter to bridge the gap between him and Hrithik by saying the Sanjay Gupta-directed the movie will receive a great response. "@iHrithik wish could have avoided overlap of releases. That said... My love to you and @yamigautam dad and @_SanjayGupta. Kaabil will be awesome," SRK tweeted. Earlier both the films were slated to hit the cinema houses on January 26. But then both the makers decided it to release the movies a day before.